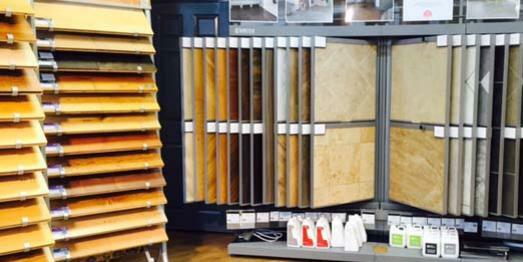 If you are interested in installing hard flooring, be it Amtico, Karndean, laminate, sheet vinyl or wood, come into our shop, browse through our samples and take some home if you wish. The next step is a site visit to measure your room, check your floor and assess moisture levels if necessary. We then will provide you with a quotation. All our fitters are trained to the highest level and all our work is guaranteed. We also supply manufacturer’s cleaning products and sundries. The combination of my new Amtico floor and the striped carpet on my stairs is spectacular. Thank you Turners once again for a pain free flooring experience!